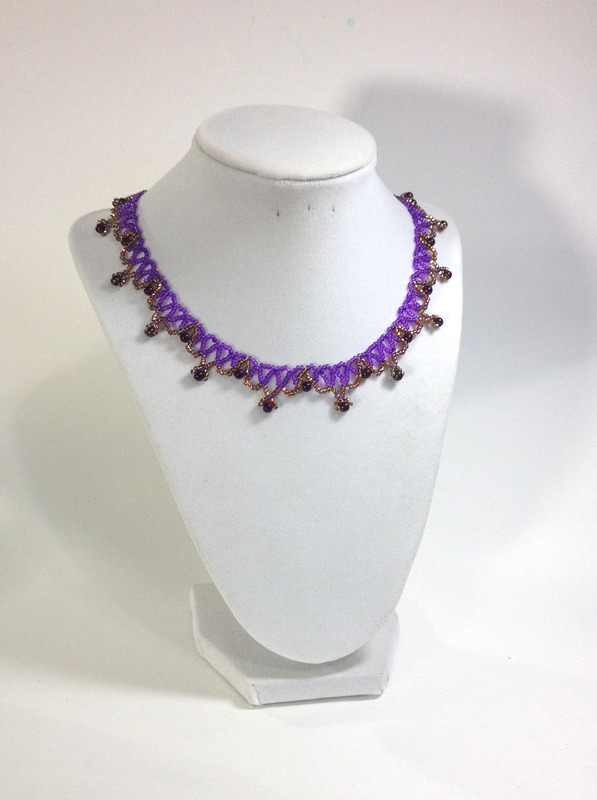 This lovely necklace/collar is hand beaded with purple and gold colored TOHO seed beads and deep purple 4mm rounds. Clasp is securely and professionally attached with wire guards. 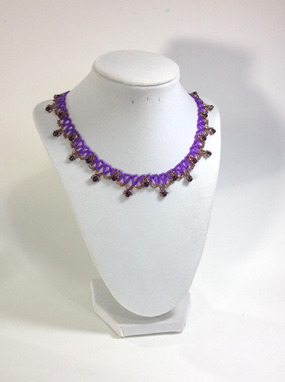 This necklace is one of a kind, approximately 18" in length and ready to ship immediately. International shipping may be available. Please drop us a line to inquire.